WELL LOOK NO FURTHER!!!! TWEET ON A TEE IS HERE. Step 3: Wait 7-10 days for that Tee to be delivered right to your doorstep. All you do is Download the Tee-My-Tweet app for $19.99/month on iTunes. Subscription includes one shirt per month. Download the APP in the next two months and we’ll throw your twitter handle on the back for NO COST AT ALL. That’s a 5 dollar value, all yours for ABSOLUTELY NOTHING! 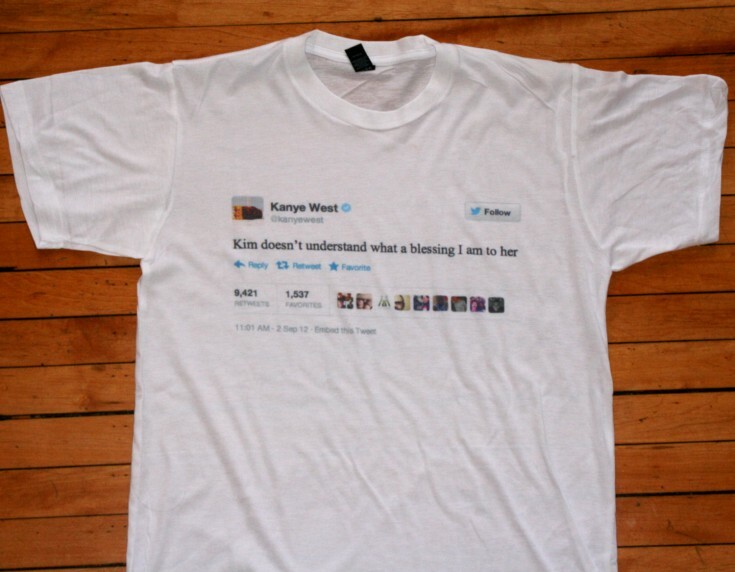 With such a cool shirt, you can’t just go around leaving everyone wondering where they can read such awesome tweets! 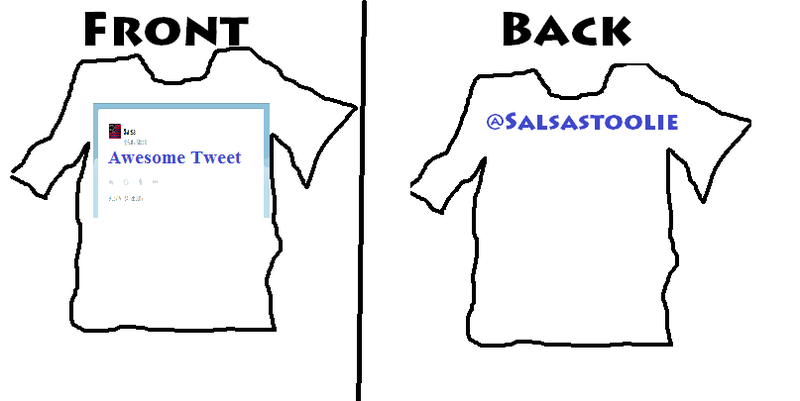 By adding your handle to the back of your Tweet-on-a-Tee, simply turn around and- VOILA! Giant bold letters directing the person just where to go on twitter so they can get more and more of your electric tweets. 2 seconds later: it exists here, and Here) Oh well. Previous PostThe time I went to the Daytona 500Next PostSurvivor (Season 30?!) is an awesome show- and it premiered tonight.